SYDNEY, Australia, December 1, 2009 (ENS) – Tibetan spiritual leader His Holiness the Dalai Lama said Monday that the world’s leaders must give the highest priority to the issue of global warming. Speaking in Sydney on the first day of his 11-day tour of Australia and New Zealand, the Dalai Lama told the Australian Broadcasting Corp. he is encouraged that governments are taking a greater interest in climate change ahead of the United Nations climate conference in Copenhagen, which opens Monday. 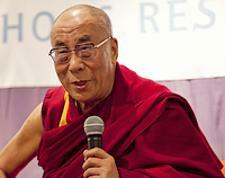 “I think it’s very, very encouraging,” said Tenzin Gyatso, the 14th Dalai Lama. During his tour of Australia, the Tibetan leader will give a talk entitled, “Our Future, Who is Responsible?” in Sydney. 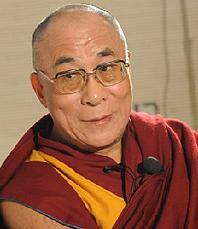 The Dalai Lama was awarded the Nobel Peace Prize in 1989. The theme of his Nobel Prize lecture in Oslo 20 years ago was the need to develop individual and universal responsibility for the planet and for making peace. “We must develop a sense of universal responsibility not only in the geographic sense, but also in respect to the different issues that confront our planet,” he said in Oslo. “Responsibility does not only lie with the leaders of our countries or with those who have been appointed or elected to do a particular job. It lies with each one of us individually,” he said. “What is important is that we each make a sincere effort to take our responsibility for each other and for the natural environment we live in seriously,” he said. Today, theme of his teachings in Australia and New Zealand is the importance of developing individual and universal responsibility to address climate change and other global issues. “Taking care of the environment is essential and the responsibility of every individual,” the Dalai Lama said in Sydney. But he says governments are too often focused on national economic interests rather than global issues. On November 21 at a news conference in Rome, the Tibetan leader expressed concern about the devastating effects of climate change on his homeland. “Some of the rivers which come from Tibetan glaciers or snow mountains, some within 15, 20 years may dry. So it is, as we mentioned, a very, very serious matter,” he said. “So with full cooperation of Chinese experts, we [should] organize some experts to go to Tibet and study how much damage already done and what is the best way to protect, the best way to reduce the damage. I think that China is also in need,” he said. The Dalai Lama told the audience in Rome that it is important to cooperate with China over global warming. He said that a political solution between Tibet and China may take time but the environment cannot wait. During his June 2008 visit to Sydney, the Dalai Lama again urged that developing a sense of universal responsibility is of primary importance for environmental protection.